"This fight reminds me when you watched Ray Leonard and Thomas Hearns," De La Hoya said. "This fight here is like watching the Super Bowl, NBA Championship, and the World Series. It's boxing's version of a World Series. "I fought both fighters and I already know what's going to happen. I already know there will be a knockout, and it ain't going to be pretty!" "I had the privilege of watching both these men come up," Richardson stated. "I go back to watching Floyd when he used to battle Carlos Navarro. Right now, we have an opportunity to make history here. (In reference to Mayweather believing he is the greatest fighter of all time) "I will support anything they say. It makes it easier to not ask the question after May 1st." 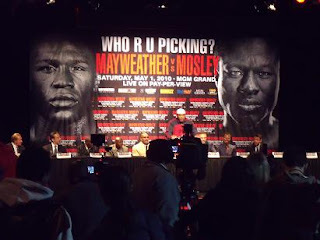 "I'm going to take my hat off to Mayweather because I never thought we were going to get a fight," said Mosley. "Everybody is afraid to get in the ring with me." 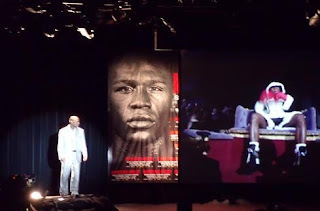 "I would like to thank God because without God, none of this would be possible," stated Mayweather. "I would like to thank the media, all of the sponsors, HBO, Team Mayweather and all the fans. "It takes two to make a mega fight. Shane Mosley is one of the best welterweights of our era. The only thing I want to do is fight the best and continue to fight the best. "I got a great team and a lot of good support. I am going to continue to go out there and dominate the best. 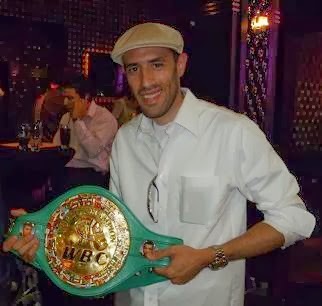 "They say he is the WBA champion, but we all know belts collect dust. "The world can be against you, but when God is on your side, can't no man stop you." Nice blog if you have more interesting stories if you are article writer so write your story & article in www.addmyarticles.com. I think it will batter response for your story in www.addmyarticles.com good luck nice job keep it up!! will be the best boxer , will it be pacquiao or will it be mayweather. ?